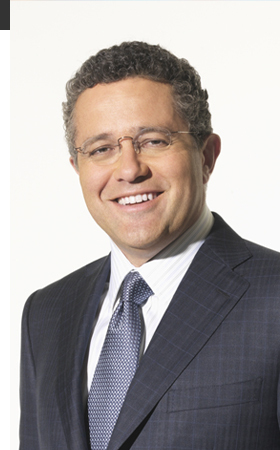 Jeffrey Toobin is the featured speaker at the Atlanta Press Club on Tuesday. He'll discuss his new book The Oath: The Obama White House and The Supreme Court. Presidential election season is approaching, and a Here's What You Doer needs to be educated. Tuesday is filled to the brim with political learning experiences to get you ready. Jeffrey Toobin is often seen on the national news channels, discussing presidential politics. But he's probably best known for his work authoring The Nine, an insider account of the ideological war between the Obama Administration and the John Roberts Supreme Court. He'll be the featured speaker at the Atlanta Press Club luncheon on Tuesday as well as host a book signing of his most recent work "The Oath: the Obama White House and the Supreme Court," at Eagle Eye Books in Decatur. In this electoral season, it's worth it to go deeper into the workings of the contemporary judicial and executive branches. Tickets are $30 for APC members and $40 for non-members. Lunch goes from 11:30a - 1:10p. JOHN MCCAIN, Republican presidential nominee, Arizona senator: Coffee, cereal, and fruit. BARACK OBAMA, Democratic presidential nominee, Illinois senator: Four to six eggs, potatoes, and wheat toast. Every now and then, fruit, bacon, and oatmeal. MIKE BARNICLE, political analyst, MSNBC: "I'm a diner guy. No matter where I am in this country, I manage to find a diner at the start of each day. I'm also a counter guy. Sit right there on a stool where you can see the counterman flipping the eggs, making the omelettes; where you can look the waitress in the eye and place your order without ever having to bother checking a menu. Egg white–ham omelette, period. No toast, no home fries. Large O.J. and a cup of coffee. "My second favorite place for breakfast is the front seat of my car. There, in one of the last refuges in a nation cluttered with the useless debris of too much information, I can shut off my cell phone and BlackBerry and read the newspaper while sipping a large coffee with cream and three [packets of] Splenda." MARION BARRY, current Ward 8 councilman, former D.C. mayor: At home, oatmeal, a peach or a pear, and a glass of juice. Over a morning meeting, as a treat, eggs benedict with a side of fruit. TOM BROKAW, news anchor, NBC: "Breakfast varies for me, but the most consistent item is coffee—large and black, or a large cappuccino with skim milk. I'm mostly a granola and yogurt man, except about once a month, when I crave a toasted sesame seed bagel sandwich with two scrambled eggs and two strips of crispy bacon. Occasionally I'll do french toast with good maple syrup." 4-6 Eggs!!! Jeez! That's 152 dozen eggs in a year! 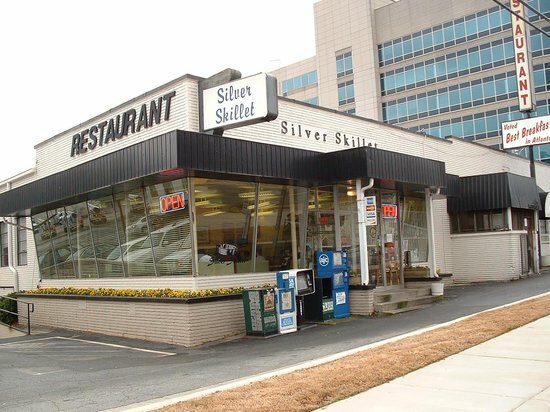 Try the silver skillet for The Barnicle (from Mike Barnicle, Political Commentator on MSNBC) - egg white omelet with ham. "You can now tour the Georgia Capitol using your iPhone, iPad, or iTouch. The app provides discussions about the integration of the Georgia Capitol in the 1960s, the Capitol’s classical architecture, and unveiling of the portrait of Dr. Martin Luther King, Jr. in 1974. It is a wonderful tool for groups of secondary or college students, and adult groups who want a more in-depth tour. The Georgia Capitol App is available for free download at iTunes App Store. The download takes about 5 minutes so it is a good idea to download the entire app before you arrive. Should you forget, a free public wifi network is available in the Capitol. Once your download is complete you can use the App to tour the Capitol by topic or by location. Start with the Governor’s welcome or the introduction in the Capitol Rotunda. Most stops include video or images related to each location in the building. Touring by story will provide an overview of a specific subject. Some tour stops are located outside of the building. Narration provided by WSB’s Monica Pearson; a welcome by Georgia Governor Nathan Deal; interviews with Jimmy Carter & Leroy Johnson; archival images and video of the Georgia Capitol." 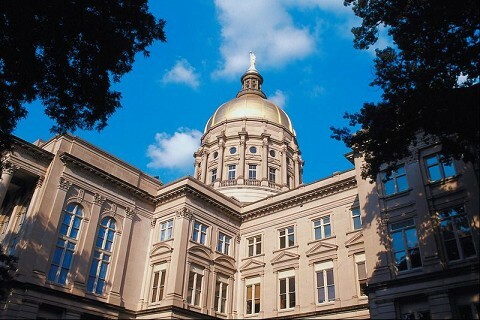 Take a self-guided tour of the Georgia Capitol with the Capitol App iPad and iPhone app. The tour is free to the public. Capitol is open from 8-5 every day. Third: Jeffrey Toobin. The Luncheon is starting at 11:30a. $40 per person for non Atlanta Press Club members. "55-minute guided walking tours depart approximately every 10 minutes. 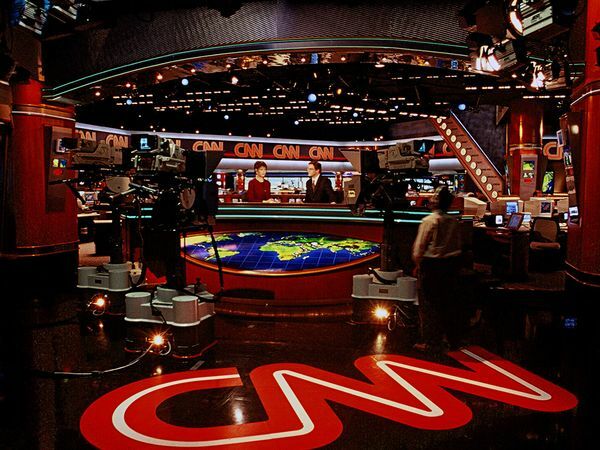 The CNN Center is open to the public and entrance to the building is free. The public area includes a food court with fast food and full-service restaurants, specialty retail and other services. Reservations for the tour are highly recommended and should be made at least 24 hours in advance. Walk-up tickets are available at the box office and are sold on a first come, first served basis. Box office opens 15 minutes prior to the first tour." Tickets are $15 for adults. Don't forget to make a reservation. Fifth: It's nap time. Recharge after a big politics day. Finally: Finish off the day with a presidential politics discussion at Hal's. They have the best filet in town. 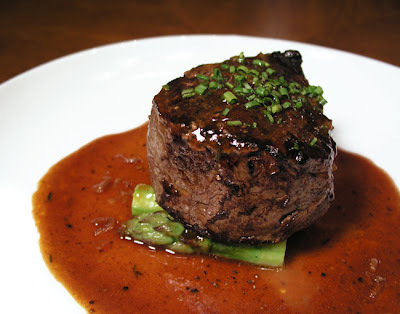 Check it out in our best filet in Atlanta segment. And the politicos rub elbows there on a regular basis. Take some friends, order the oscar filet - medium rare plus - and discuss. Don't forget a bottle of Franciscan to take the edge off. Sometimes, in political discussion, it's needed. ($50 per person). Finish off the day with a filet at Hal's and long discussion on political politics.